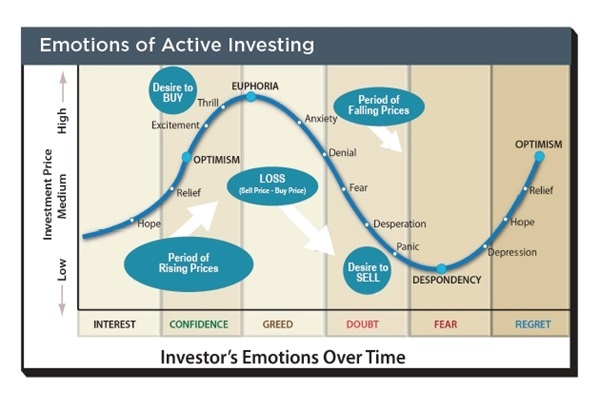 Human emotions have the ability to affect investing. It’s common for an investor's confidence to grow as your investments grow. Conversely, as markets lose value, confidence decreases. Most investors tend to go to the sidelines at the wrong time. Disciplined investing does not adhere to the emotions of investing such as greed, fear, or chasing returns. Along with keeping your account diversified, using a disciplined long-term investment approach is key to obtaining consistent and sound results.